Congratulation to Pete Wells, a deserved winner of the 2018 Arboricultural Association Award for Continued Contribution to Arboriculture. Pete was unable to attend the Awards Ceremony on Tuesday but Mark Chester and Keith Sacre gave a fitting tribute to the career of the Barcham Trees founder. The Winner of ‘Best 2016 Student: ABC Awards level 4 Diploma in Arboriculture’ was Scarlett English. Unfortunately, Scarlett was unable to attend the Awards evening, but particularly wanted to thank Lisa Sanderson at the Training Tree for her fantastic support. Michelle Ryan accepted the award on Scarlett’s behalf from Dave Dowson of Tree Life Training. Shaun Phillips of Lockhart Garratt and Royal Forestry Society Project Officer Adam Todd presented the ‘Best 2016-17 Student Award: ABC Awards Level 6 Diploma in Arboriculture’ award to Sebastian Macleod. Sebastian was thrilled to win the award and gave a heartfelt acceptance speech. Over 300 guests attended the Awards Ceremony, which began with the award for Best Conference Exhibitor being presented to Becki Gawthorpe and Mike Ndeze from the Forestry Commission by AA President Henry Girling. The 2018 Arboricultural Association Awards Dinner raised money for two chosen charities: Fund4Trees and TreeAid. 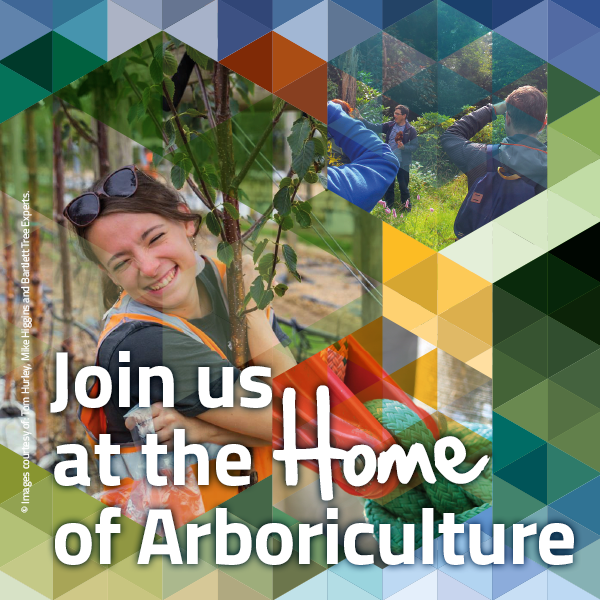 Thanks to everyone who donated and also to DeepRoot Urban Solutions for sponsoring the 2018 Arboricultural Association Awards.